The philosophy of “Educational Chess” recognizes that, as the learning sciences strongly suggest, the greatest benefits from chess may actually accrue to the kids who may be the least likely to become strong players. Therefore, a successful chess program must ensure that every child develop a strong and well-structured foundation of chess basics that really is strong enough to drive critical thinking skill development, while simultaneously seeking to maximize the skills of its best players. Many Scholastic Chess programs appear to be based on the philosophy that the educational benefit kids get from chess is directly proportional to how good they get at chess. So not surprisingly, the focus of these programs tends to favor the strong players who can compete successfully. Achieving that level of chess skill is commendable for many reasons, but if achieving ever-higher levels of chess ability becomes the primary program objective, the most important benefits from chess may remain unfulfilled for many children. Advances in our understanding of learning strongly suggest that achieving the greatest educational benefits from chess requires programs to be based on a more precise understanding of exactly what it is about chess that enhances children’s development. And it now appears that learning advanced chess is not as important for most kids as is simply learning—and applying—proper chess thinking. Some kids will progress up the chess ladder with ease, and others won’t. But recent insights from learning science show that the benefits chess brings to the kids who don’t may actually have a far greater impact on their future lives – if you can attract and retain them in your program long enough to give them the thinking foundation they need. Therefore, if you want to maximize the educational impact you have on the lives of your students, the way you structure your program—and the chess learning materials you use—will be vitally important. Learning scientists and cognitive psychologists have identified a group of cognitive processes called the Executive Function (EF) skills. These are the thinking activities that help the brain organize and act on information – and which are critically important for problem solving in the modern world. A wealth of scientific evidence has shown that these executive function skills are intimately linked to one’s ultimate success in school – and in life (see box). These are the skills most closely associated with success in school – and in life. Chess can be a powerful tool to improve this key cognitive function because its fundamental lesson—stop and think before each move—involves constantly exercising self-control. 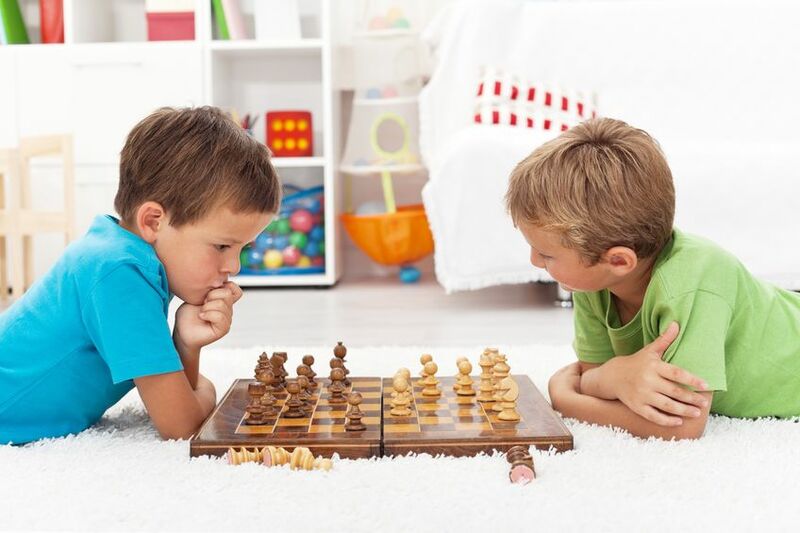 Recent advances in learning science strongly suggest that, for most children, the benefits from chess may have less to do with how good they get than with how much they learn and play. Educational Chess aims to use chess specifically to enhance the development of executive function skills in as many kids as possible, especially in the kids who need this development the most. Everyone develop a solid foundation of basic chess knowledge – taught in a way that properly prepares them to apply it in a thoughtful fashion, so every move becomes a way to practice successful thinking. Rewarding competitive success in your top players remains important – but motivating and rewarding learning effort in everyone is more important still! While chess can have a powerful impact on the specific skill of self-control, its benefits to cognitive development do not stop there. If your program also helps students acquire a strong foundation of chess fundamentals, then every time they do slow down and think about their next move they have a specific body of knowledge to apply to that particular problem-solving task. So every single move also becomes an opportunity to practice executive function processes. But enabling this practice to lead to meaningful cognitive improvement requires doing more than just teaching facts. Merely defining what forks, pins, and skewers are, then having students solve puzzles, is certainly enough to teach some chess. But it is not enough to optimally equip a student for cognitive development. Realizing that full potential requires your learning material be comprised of thoughtfully structured lessons that provide the context and discussion that enables kids to view situations from many different perspectives. And to help children generalize the thought processes they are applying to chess to the problem solving required elsewhere in life, the conversation must always emphasize that the thinking strategies that work for chess will also work for life. This critical educational strategy of providing information, context and perspective maximizes the chance that, at any skill level, every move can result in success. Once the foundation of knowledge is strong enough, every move becomes an opportunity to apply something learned to a decision that needs to be made. Ultimately, even if the game is not won, every move that successfully applied knowledge to problem solving becomes the positive process that drives ongoing cognitive skill development, and keeps students at all skill levels motivated to stay with your program. is ultimately a difference in perspective, goals, and the processes you use. In order to successfully apply the principles of Educational Chess, a program must create an environment that enables everyone to learn enough, quickly enough, and enjoyably enough to maintain their interest and participation in a process that intrinsically builds the executive function skills that can make a huge difference in the outcomes of student’s lives. Doing this requires that your program’s goals – and the tools you use to achieve them – must effectively serve the needs of students across the entire spectrum of chess ability. It is, of course, critical that you continue to build the strengths of your best players (who then become the role models you need to make thinking a Varsity Sport), as well as support the less skilled ones. But ultimately, what is most important for the group – and the success of your program – is not ensuring that kids reach any particular destination of advanced chess skill. Instead, it is helping everyone stay on the journey long enough to enable chess to have a meaningful impact on their executive function development. And the most critical step here is to ensure that everyone develop the proper basic foundation of knowledge. Why is Think Like A King the perfect tool for Educational Chess? Think Like A King makes it easier than ever for you to turn chess into a powerful educational tool. Our system was designed from the ground up to realize the full potential of educational chess, so all kids can benefit from learning the game. This is especially true for the majority of kids who will never achieve expert level. The extraordinarily effective teaching for beginners will engage them so thoroughly that you can easily retain the kids who can benefit the most from chess, while the advanced modules will give your strongest players the rock-solid foundation of sophisticated chess knowledge they need to let their natural talent take them as high as they care to go. In fact, even though more of your focus is now on beginning-level players, since you’ll have better learning tools for everyone, you’ll probably end up with greater numbers of stronger players than ever before! “Think Like A King has the highest quality instructional content of any chess software we have seen. The clarity of the language and the logical progression of the lessons is exceptional.” (IL Chess Association Youth Committee, 2010. http://www.il-chess.org/resources-for-learning). When you combine the Chess Workouts with the many powerful features of Chess Club Manager – including an instantaneous rating system (that recognizes your top players as Mental Athletes, transforming chess from an activity into a Varsity Sport), as well as the Workout Points and Karate-inspired Thinking Belts (achieved not through competitive success, but via learning effort – so everyone can receive top-level recognition), we give you precisely the tools you need to deliver on the promise of an Educational Chess philosophy, so every students’ learning counts. The bottom line is this: To maximize your success with chess, your program must have the tools required to attract, motivate and retain students in their chess journey. Whether the journey is for a child destined to become a superstar chess player, or for one who needs help in developing their basic critical thinking skills, we give you the tools you need to create a program that works for your entire group. So you can help every child learn to Think Like A King. What is the evidence that Executive Function skills are so important to outcomes in school – and in life? See the details in Chess and Learning Science.